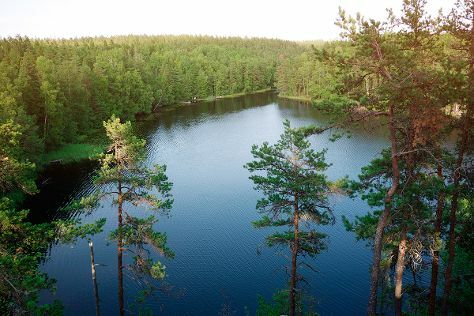 Get in touch with nature at Nuuksio National Park and Pargas Lime Stone Quarry. When in Turku, make a side trip to see Teijo national park in Pernio, approximately 1h 20 min away. And it doesn't end there: step into the grandiose world of Turku Castle, see the interesting displays at Luostarinmaki Handicrafts Museum, take in the spiritual surroundings of Turku Cathedral, and browse the collection at Turku City Library. For more things to do, ratings, maps, and more tourist information, read Turku tour planning site . April in Turku sees daily highs of 9°C and lows of -1°C at night. Wrap up your sightseeing on the 22nd (Mon) early enough to travel back home.